The Justice Department on Thursday rescinded Obama-era policies allowing states to set their own ground rules when it comes to legal marijuana. Instead of deferring to local laws, Attorney General Jeff Sessions will allow federal prosecutors discretion in deciding how to deal with weed. Still, some were surprised by the move, which introduces extreme uncertainty into a flourishing market of growers, sellers, and buyers of marijuana. “Jeff Sessions told me this wouldn’t be a priority. Jeff Sessions told me the policy would not be reversed, and today Jeff Sessions went back on his word,” Republican senator Cory Gardner of Colorado told Yahoo News. Colorado is one of eight states, along with the District of Columbia, that have legalized recreational marijuana, which produces revenues that help fight homelessness and fund schools, among others things. 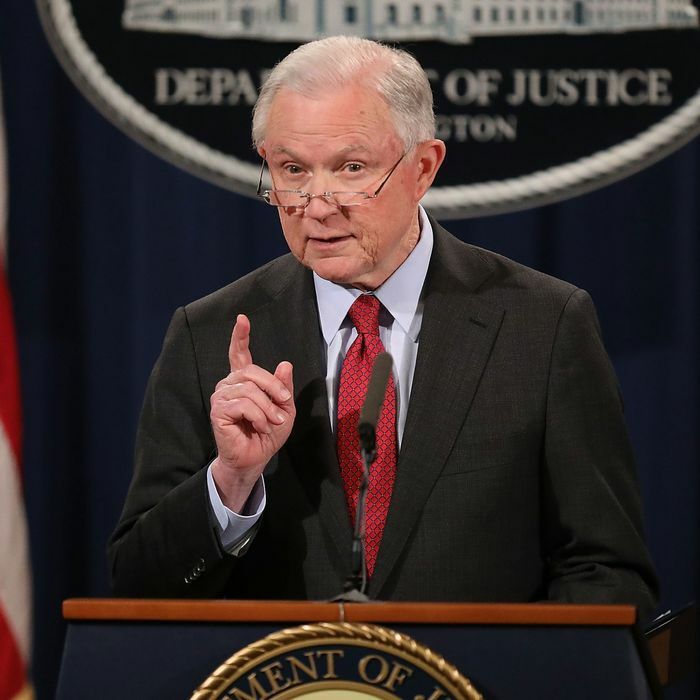 It’s unclear now how the Justice Department’s move will impact recreational and medical marijuana markets around the country. A one-page memo released Thursday doesn’t replace the prior guidelines, it just calls them “unnecessary.” Under those prior guidelines, known as the “Cole memo,” the federal government promised to leave states alone when it comes to marijuana as long as they don’t get in the way of several federal priorities, including keeping weed out of the hands of children and away from criminal gangs. But Justice Deparrment officials were not able to explain the impact of ending the policy in conversations with reporters Thursday. “I can’t sit here and say whether or not it will or won’t lead to more marijuana prosecutions,” one anonymous official said. There is one likely consequence of the move, though, that critics and proponents agree on. Investment in the marijuana industry will probably dip. “This is a victory. It’s going to dry up a lot of the institutional investment that has gone toward marijuana in the last five years,” anti-legalization advocate Kevin Sabet told the AP. Meanwhile, WeedMaps lobbyist Brian Darling told the Hill that the move has “thrown a curveball at the industry,” which will move with more caution given the newfound uncertainty. “You’re talking about a huge economic impact,” he said.